Very good. Signed by AUTHOR-FAST Despatch by First Class Royal Mail. Good in good dust jacket. SIGNED BY AUTHOR (unverified). Ex Library Book with usual stamps and stickers. Tan to the page edges. Minor Shelfwear. Good condition is defined as: a copy that has been read but remains in clean condition. All of the pages are intact and the cover is intact and the spine may show signs of wear. The book may have minor markings which are not specifically mentioned. Most items will be dispatched the same or the next working day. Near Fine+ in Near Fine+ jacket. Signed by Author A beauty; signed on the title page. Fine jacket. Signed. First Edition. A beautiful copy. Clean text, solid binding. Dust Jacket protected by mylar cover. Fine copy in fine dust jacket. First printing with full number line. Flat signed and dated 7 July 01 by author on title page. Very good in very good dust jacket. Signed by author. In Very Good+ condition and Very Good+ dustjacket. Glued binding. Paper over boards. With dust jacket. Audience: General/trade. SIGNED by author on title page, his fifth Jack Reacher thriller; fine in fine jacket, in clear mylar cover; a tight square unmarked copy in unclipped dust jacket; first printing with full number line; nearly as new, appears unread. Fine in fine dust jacket. Signed by author. 400 p. Jack Reacher Novel., 5. Audience: General/trade. Near Fine in Near Fine dust jacket. 9780399147265. Gently read copy with bumped bottom corners. International orders may require additional postage. 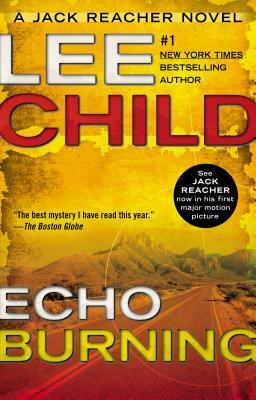 ; Simply signed on the title page by Lee Child. Full number line. ; Jack Reacher, No. 5; 9.30 X 6.20 X 1.30 inches; 384 pages; Signed by Author. Very good in very good dust jacket. Signed by author. Remainder mark to bottom edge. Binding is tight, pages are clean. Jacket has a Signed Copy sticker on front, minor shelf wear, slight wear to edges. First printing. Signed by the author on the first blank page. Reacher is hitching through the heat of West Texas and getting desperate for a ride. Luck arrives in a huge white Cadillac with its air-conditioning on high. Fine+ in Fine+ dust jacket. 9.30 X 6.10 X 1.40 inches 397 pp; First British Edition. Author Signed. Book and jacket look new, signature is just the name on the title page. Comes in a clear archival just jacket cover. ; Signed by Author. Good plot for Jack Reacher. I will read the novel over and over as I have been with Child's other Jack Reacher stories. as usual, Lee Child gives us a plot that is full of suspense and action. Reacher comes through with his unique talents to save the day. This book started out a little slow, and didn't get interesting until around page 75. After that it was a really good read and I couldn't put it down.